Microsoft hosted the yearly shareholders meeting conference call yesterday. Among various topics, Microsoft CEO Satya Nadella talked about the company’s plans to invest aggressively in content, community and cloud services for gaming. […] in gaming, we’re pursuing an expansive opportunity from the way the games are created and distributed to how they’re played and viewed. And we’re investing aggressively in the content, community and cloud services across every endpoint to expand the usage and deepen engagement with gamers, including the 57 million monthly Xbox Live users. Finally, we added seven new gaming studios to bolster the first party content for fast growing gaming services like Xbox Game Pass subscription service as well as Mixer. Later in the call, another Microsoft representative highlighted the two key initiatives for these plans. 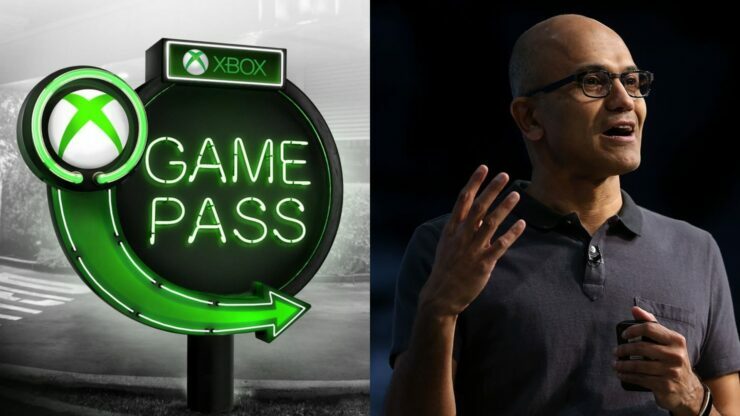 Xbox Game Pass should increase the reach of gaming beyond the usual audience in a manner akin to Spotify for music and Netflix for video, while Project xCloud will allow a quality experience consistent with PC and consoles on any device. Today, four billion people are connected to the Internet and over two billion play games online. As Satya mentioned, over the next decade we’re going to continue to create amazing content and games, invest in the cloud and build communities that allow anyone to participate. We have a mix of incredible games for people of all ages but we want to make it easier to discover new games and play them either on your Xbox or your PC. Earlier this year, we introduced the Xbox Game Pass, a content subscription service for gaming. Just like with Spotify and Netflix have done for music and video, Xbox Game Pass will allow us to reach beyond the two billion people playing games today. With over a hundred games available for just $10 a month, we are truly excited to bring gaming to everyone. But we’re also building a robust cloud platform so that anyone can play the games they want with the people they want at any time and place, and most importantly, on any device. Earlier this year, we announced Project xCloud, our future streaming gaming platform with the goal of delivering a quality experience for all gamers on all devices. We’re building a service that’s consistent with the speed and high fidelity that gamers expect on their PCs and their consoles. Those may sound lofty goals, but Microsoft seems dead serious in their pursuit. The addition of seven game development studios to the first-party portfolio surely indicates as much and given Nadella’s words, more investments may be coming.